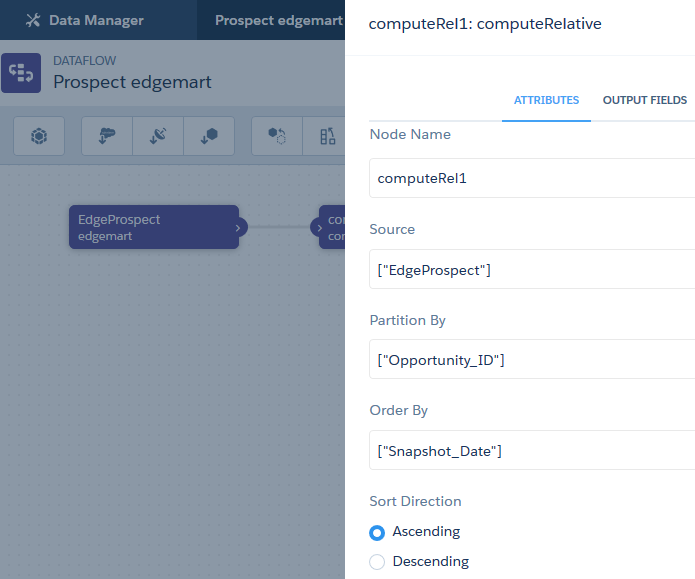 computeExpression is a well-known transformation tool in Dataflow, you expect to get new fields as result, based on data in the same row. 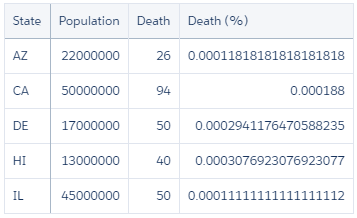 While computeRelative is also transformation tool in Dataflow, but you can compare with data in the same or the other row (first, last, next, and previous). 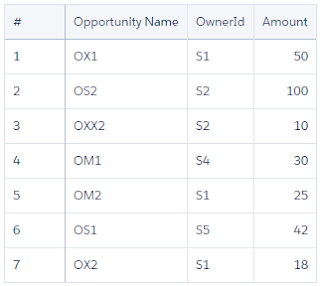 - partition by field: this is unique key field such as Opportunity Id, Account Id, etc. 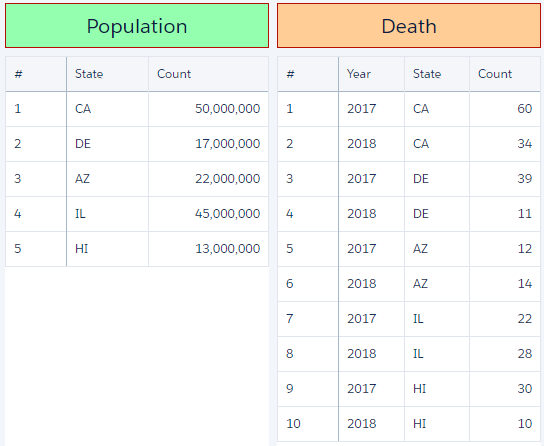 - computed fields: this would be the result fields from computeRelative. 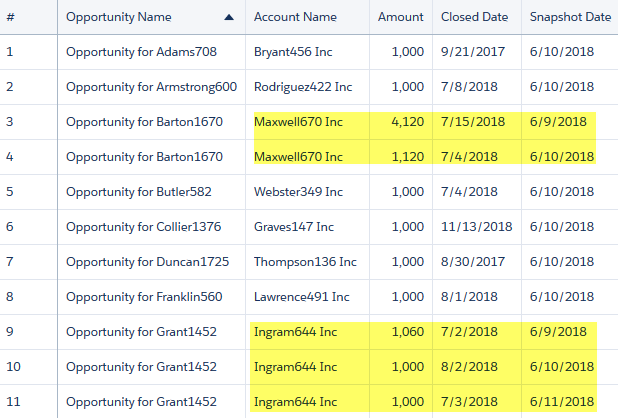 In this case, we would like to leave the Previous Amount and Previous Close Date as blank if there is no previous data for the particular records. If we leave the Default Value in Field Attribute as blank, there will be no default value defined in the JSON and this will cause errors when running the dataflow. 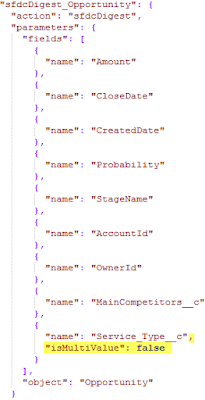 To fix that, download the JSON file and edit it manually, then upload it back to the dataflow. 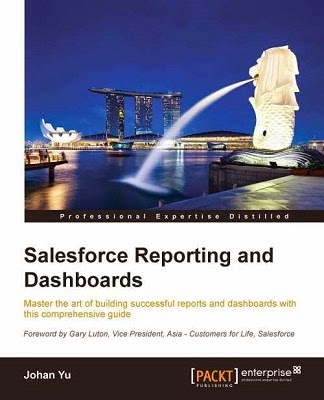 Binding is one of the most powerful technique to implement when building a dashboard, although it is also one of the most difficult as you need to edit the JSON directly. In a few blogs post earlier here and here, you may notice a function call coalesce(), let's see what is this function do before we jump further into the binding technique. coalesce function returns the first non-null source from a list of sources. This function is useful for providing a default value in case function returns a null value. 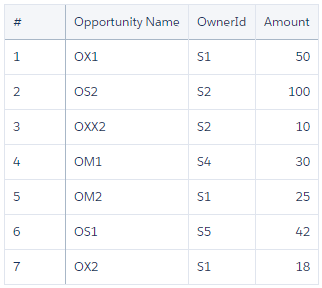 output: the output is the result returned by cell(step1.selection, 0, "column1"). However, if cell(step1.selection, 0, "column1") returns null, then the output is "green". cell function returns a single cell of data as a scalar, like "This salesperson rocks", 2, or null. 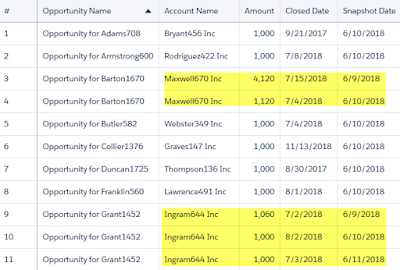 An error occurs if the rowIndex is not an integer, the columnName is not a string, or the cell doesn’t exist in the table. 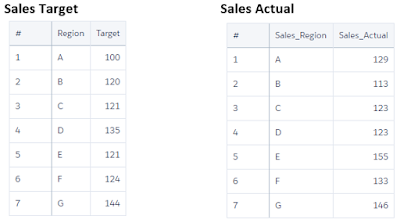 example: assume that following rows from the step. 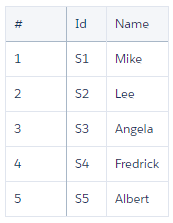 column function returns one column of data (as a one-dimensional array) or multiple columns of data (as a two-dimensional array) -- allow users to select multiple values. And here is the presentation virtual table format. Now, let us continue with binding. 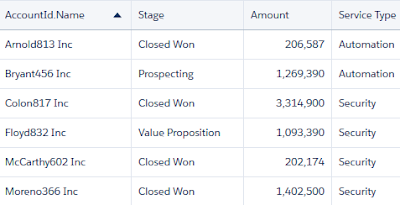 There are two types of bindings: selection binding and results binding, the selection or results of one step triggers updates in other steps in the dashboard. Selection binding is a method used to update a step based on the selection in another step. 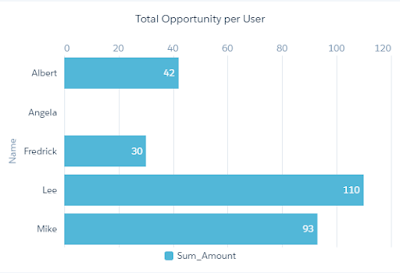 Selection bindings are interaction-driven, where it’s evaluated each time the user selects something in a widget. Results binding is a method used to update a step based on the results of another step. If you saw that coalesce function is to return the first not null function, we can combine it in our cell binding. asString() function serializes a scalar, one-dimensional array, or two-dimensional array as a string, escapes double quotes in strings. asObject() function passes data through with no serialization, returns data as an object (an array of strings). 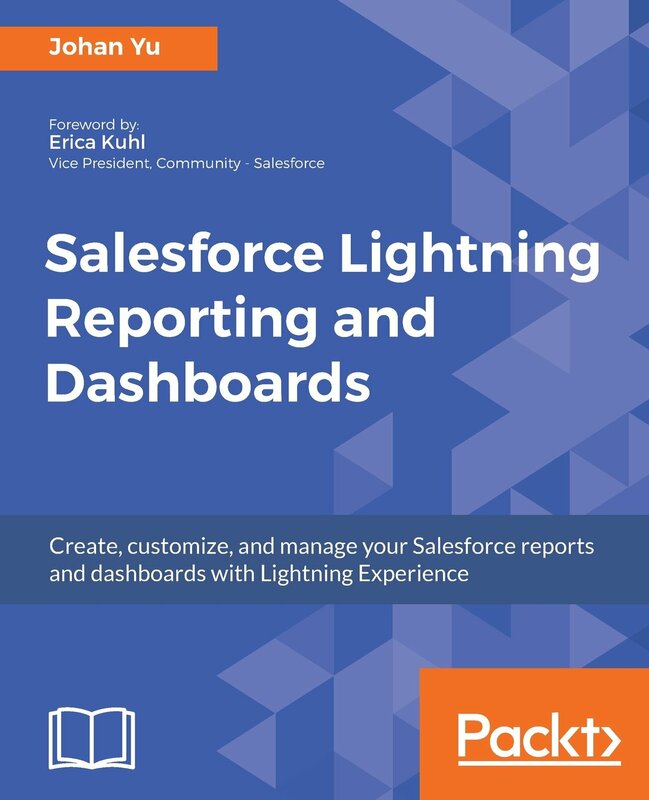 Einstein Analytics allow us to have more than 1 dataset in a dashboard. 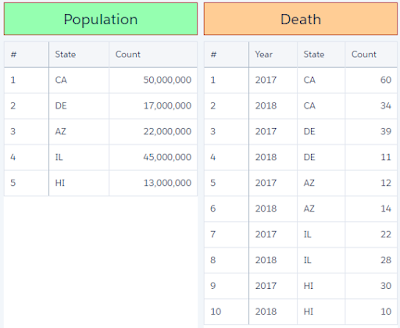 With Connect Data Source, we can link the dataset using a common field from both datasets, but the field must be used in the dashboard. Connect the data source using "Region"
With Connected Data Source, when we select a Region in Target, the Actual Region picklist will be filtered too, if Apply filters from faceting is enabled, this is enabled by default. The same when we select Actual Region with a value, Target Region will be filtered too -- if "Apply filters from faceting" is enabled. 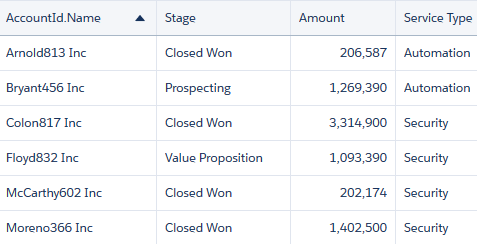 Without adding Region (actual) dropdown list, Actual value will be still filtered correctly. 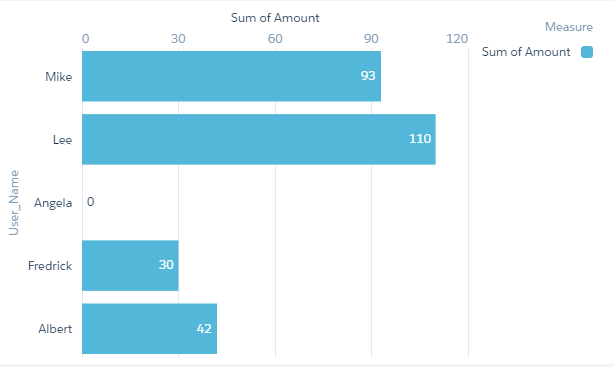 That's all about Connect Data Source, but in some cases, we can't connect data source, binding is powerful for this, but you need to get your hand dirty with JSON. 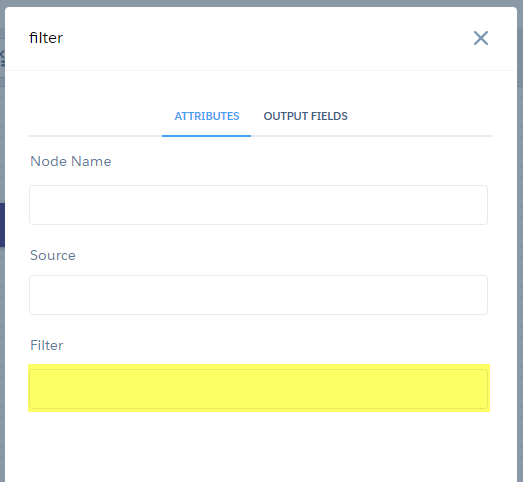 Selecting a Region in Target do not filter picklist value in Actual, but the Actual value is changed accordingly, the same as in Connect Data Source. 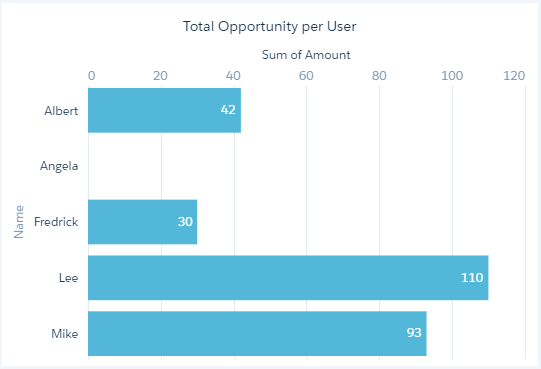 In this sample, we need to add a filter into the step of Actual value. 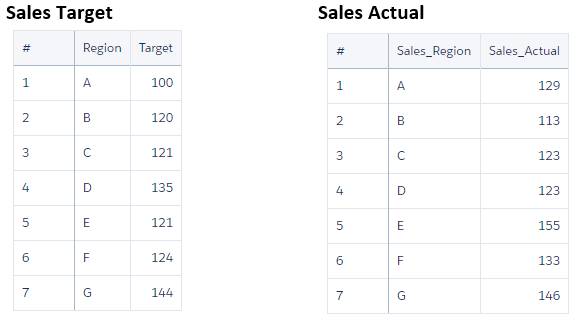 list_Target is the step name for Target Region drop-down. 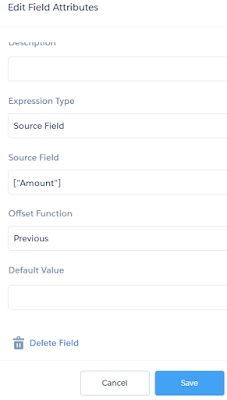 Region is the API field name for the column Region from Target dataset. 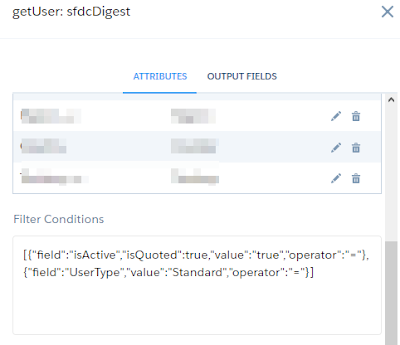 When you do not need to bring the whole data from a Salesforce object to Einstein Analytics (EA), you can filter the data when retrieving it in sfdcDigest. With filter out unnecessary data flow to EA, this will help our dashboard builders do not need to keep filtering out certain unused data, such as inactive users for the User object. 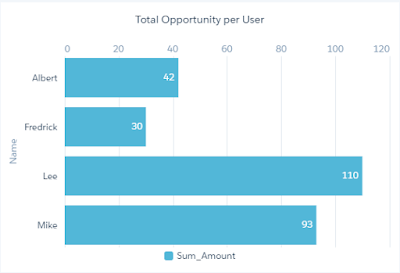 Filtering data also will increase performance on the Dataflow and consume less total of records stored in EA. 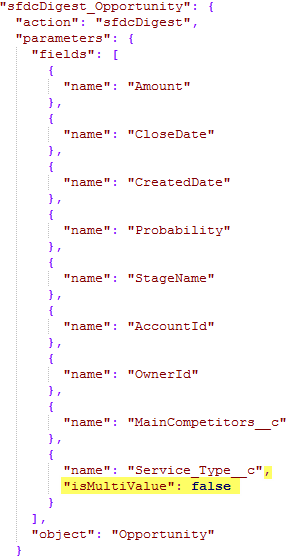 If you come from Salesforce background, you can simply enter isActive = true && userType = Standard, but this is different in EA. 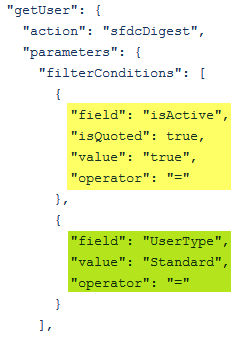 Until Summer '18 release, you need to manually enter this filter conditions in JSON format. 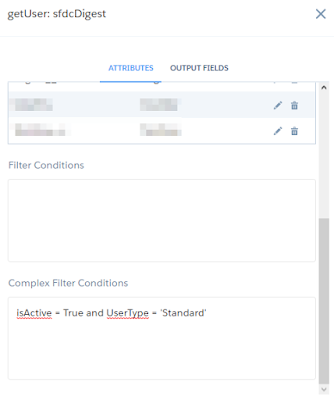 If you see the first filter, isActive is a boolean field, so passing just true without "" will get an error when running the Dataflow, so we need to add "isQuoted": true, this is also applicable for a numeric and date field. 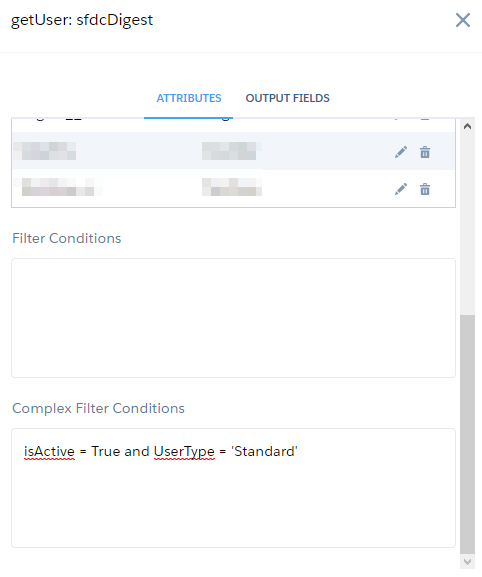 Never add Filter Conditions or Complex Filter Conditions if you enable data sync, otherwise, not all data will bring into Einstein Analytics. 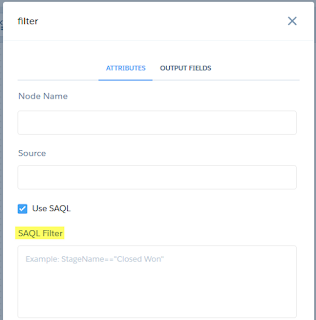 Use this to filter out data that you do not want with filter node. 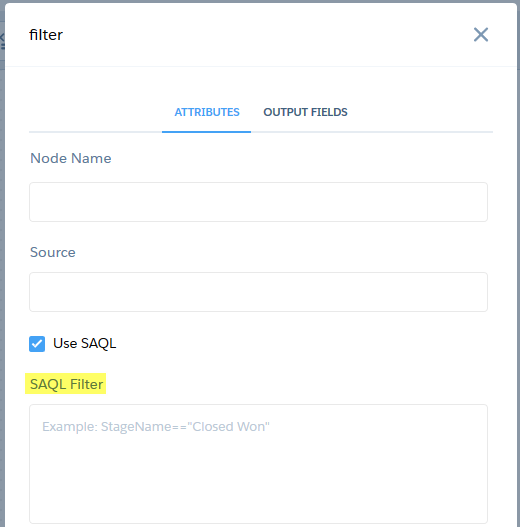 So, if you have data sync enabled, instead of filter data in sfdcDigest, do the filtering in this filter node. You can use filter node as the Source for another filter node.